I never run more than 30km before so why not to double it up and run 64km in mountains? 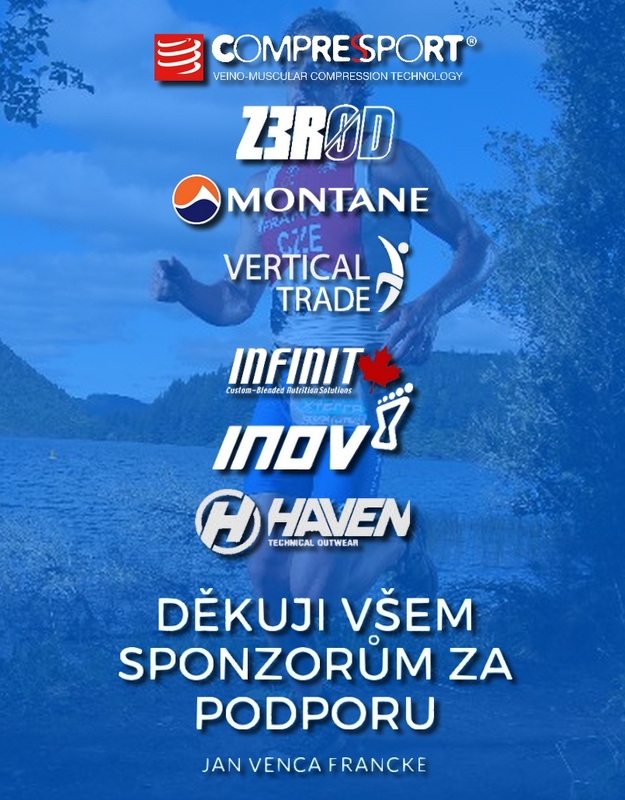 Yeah, why not so I signed up for ultramarathon "Horska Vyzva" (Mountain Challenge) for 64km and because it was race for pairs I asked my brother Michal to accept the challenge. Challenge accepted! 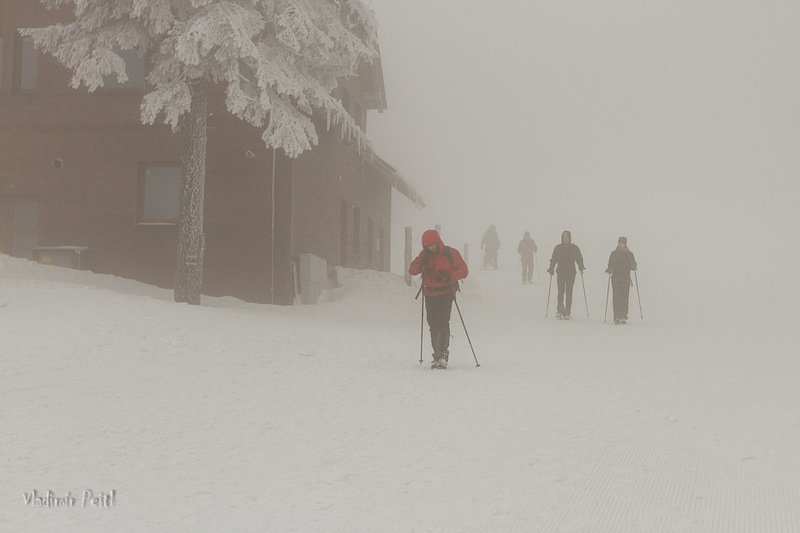 The race was held in our second highest mountain range called Jeseniky, those are famous for steep and long ascents. 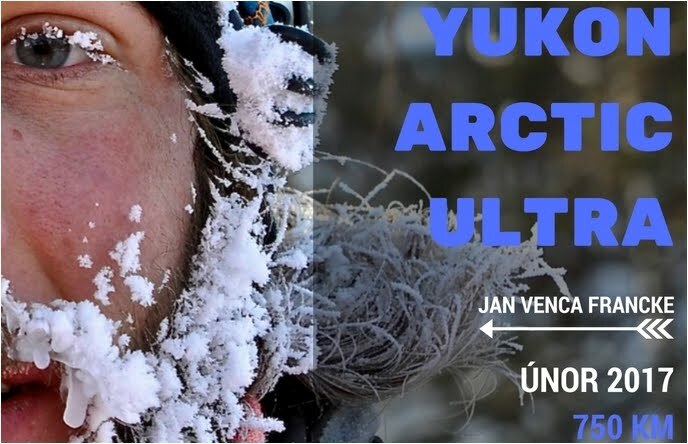 We didn´t run much before, because we were busy with xc skiing so two weeks before the race we start training for this ultra. This year frozen lady called Winter really liked hospitality of Czech Republic so she decided she will stay much much longer than usually and she was sending tons of snow on our heads. The snow didn`t melt at all and on race day (April 5th) the temperature was below zero, no snowshoes or some other help was allowed, just running shoes and poles. Lets fight it, 23:30 boooom, 500 runners left the safety of start line and headed to the dark of the cold night. After 1km of road the challenge begun, it was when we left the road and hit the tourist trails. 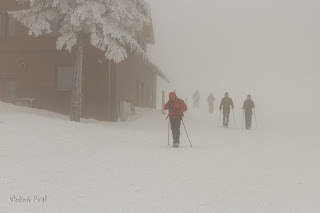 In summer it has to be beautiful trail but with deep fresh snow it was nightmare. We played the waiting game as we knew that being at front means making new trail for everyone behind. First 15km uphill and plodding through the snow. We were slowly making progress to the front and at the first checkpoint we were at the 10th place, that gave us enough endorphins to push hard (our psyche was bit low). There were time we could run and times we were just plodding through the snow, extremely physically and mentally hard. We did our longest climb that took us more than one hour to go up, I had suspicion that the hills accidentally rose to 3000m above see level. Before dawn we were at the second checkpoint and we were 3rd, another morale kick. Day light wasn`t much of help as it was very misty and we could see just white everywhere, on the left, on the right, up and down. We were keeping our position and we start thinking that actually we can be on the podium, unthinkable matter before start. We were running with other team for about an hour but when we saw they struggling we made important breakaway. 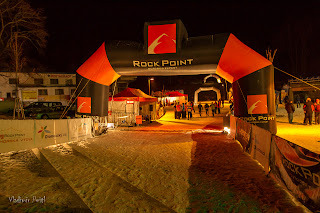 It was only 15km to the finish line, but in very deep snow and hard terrain. After about an hour we passed the second team, completely f..ked up and soon we reached the team in the lead. That was big surprise for us and also for them. We took over in making new trail in the snow, but it was very tiring so we didn`t last long at the front. Last hill they say goodbye and run away. After 11 hours and 15 minutes we reached the finish line at the second place, extremely happy.